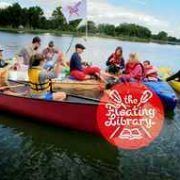 The Floating Library is an experimental public art project that introduces the creative genre of artists’ books and printed matter to people recreating on an urban lake. Paddle out to find a selection of artists’ books, zines, chapbooks, bookish sculptural objects and other artist-made printed matter for check out and perusal on the water. 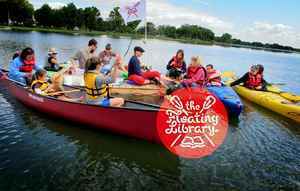 Please note that the Floating Library is designed for access by boats (canoe, paddle board, kayak, rowboat, etc). Swimming to the Library is not recommended. Bring your own boat, otherwise canoe, kayak and paddle boat rentals will be available. YOGA + BREWS at Backstack Brewing REVIEW: Mamma Mia!